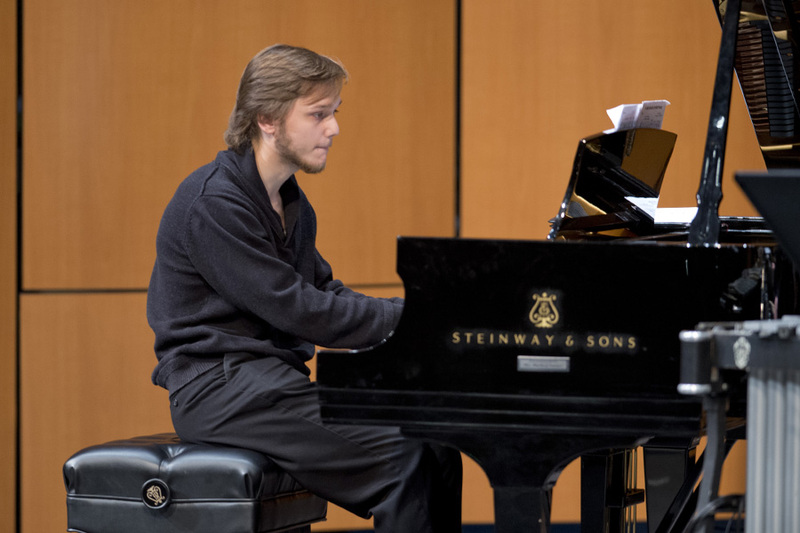 The University of Mount Union Department of Music will hold three Student Showcase Recitals in the month of April at 11:15 a.m. in Presser Recital Hall in the Cope Music Hall. The April 4 showcase will feature music education major Anna Brown of New Philadelphia, Ohio, clarinet; music and theatre major Reilly Davidson of Alliance, Ohio, soprano; biology and Spanish major Stephanie Head of Massillon, Ohio, clarinet; music major Jenna Hoffman of Canton, Ohio, piano; music major Matthew Malcomson of Louisville, Ohio, piano; music education major Abigail McElroy of Flushing, Ohio, sax and music major Alexandria Tilton of Canton, Ohio, clarinet. April 11 flute showcase features Accompanist Brent Schloneger; human development and family science major Kari Gaebelein of Brunswick, Ohio; music education major Natalie Kaufman of Conneaut, Ohio; early childhood education major Alicia O’Neill of Alliance, Ohio; music education major Brianna Potts of Orrville, Ohio and music education major Halle Robinson of Northfield, Ohio. The April 18 showcase will feature music education major Abigail Adams of Port Washington, Ohio, cello; music major Jenna Hoffman of Canton, Ohio, oboe; computer science and music major Michael Jarman of Lexington, Kentucky, piano; music major Timothy Topoly of Northfield, Ohio, percussion; music major Rachel Vaughan of Minerva, Ohio, trumpet; music major Sarah White-Jarman of Morehead, Kentucky, mezzo-soprano and the UMU String Sextet. Student showcases are free and open to the public. For more information, contact the University of Mount Union Department of Visual and Performing Arts at (330) 823-2180.